Photograph courtesy of Mary Cotterell and family. Born: 1898, St. John’s, Ipswich. 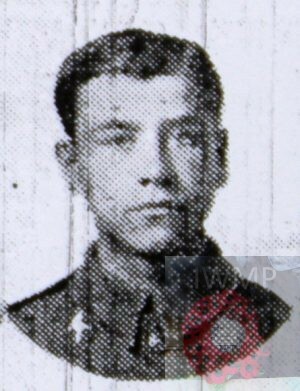 Died: 26th March 1916; age: 18; Died of Appendicitis – Egypt. Regiment: Duke of Cambridge’s Own (Middlesex) Regiment, 2nd/10th Battalion. 1901 4, Pretoria Cottages, Britannia Road, Ipswich. Bertie was 3 years old and living with his parents & siblings. Alfred Elden, 31, a Bricklayer, born Broome, Norfolk. Clara Elden (nee Collett), 32, born Broome. Donald Edward Elden, 9, born Broome. Margaret Kate Elden, 8, born Broome. Alfred George Elden, 4, born Broome. Reginald James Elden, 2, born Ipswich. Horace Redvers Elden, 4 months, born Ipswich. 1911 4, Pretoria Cottages, Britannia Road, Ipswich. Bertie was 13 years old, a Part Time Errand Boy – Milk Trade. He was living with his parents & siblings. Donald, 19, an Iron Clipper – Foundry. Alfred, 14, an Errand Boy – Milk Trade. Arthur Sydney Elden, 7, born Ipswich. Frank Ernest Elden, 6, born Ipswich. baby Elden, under 1 month, born Ipswich. Soldiers’ Effects to Alfred Elden – father. 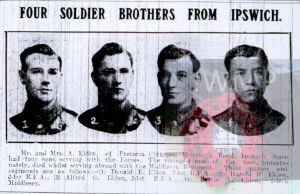 FOUR SOLDIER BROTHERS FROM IPSWICH. Mr. and Mrs. A. Elden, of Pretoria Cottages, Britannia Road, Ipswich, have had four sons serving in the forces. The youngest one of the four unfortunately, died whilst serving aboard with the Middlesex Regiment. Their names and regiments are as follows:-(1) Donald E. Elden, 2-1st R.F.A. ; (2) Harold R. Elden, 2-1st R.F.A. ; (3) Alfred G. Elden, 2-1st R.F.A. 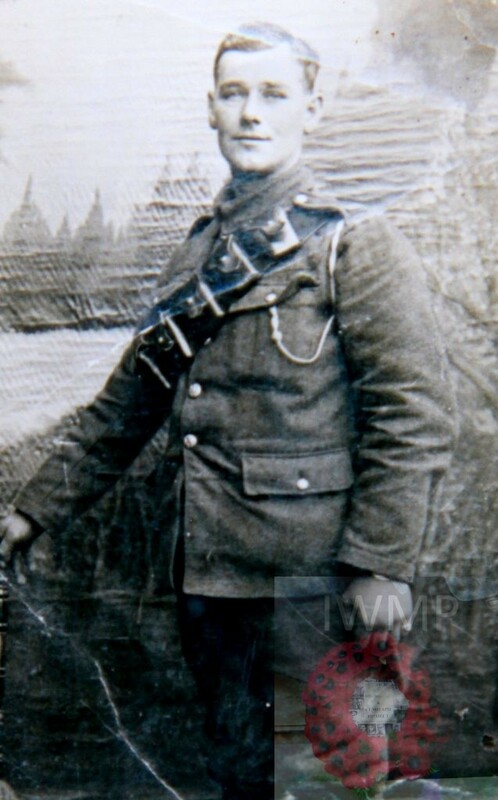 ; (4) Bertie A. Elden, 2-10th Middlesex. Duke of Cambridge’s Own (Middlesex) Regiment, 2nd/10th Battalion.